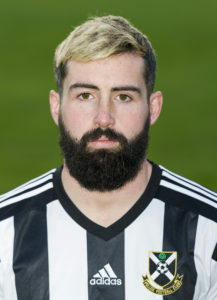 Central defender Bryan initially joined on loan from Queen’s Park but this was made permanent on 5th January 2018. Bryan had racked up six seasons in the Juniors (with Thorniewood United and Shotts) prior to his move to the Spiders in 2014 where he went on to establish himself as a regular in the heart of their defence. He is the son of former Lok player and coach Peter who turned out for the side in the 1980s, returning in a non-playing capacity in the mid 1990s. Bryan left Pollok in the summer of 2018 when he signed for League 2 side Albion Rovers.